Flower FormSmall beige flowers produced in cymes (clusters) at the end of grass-like stems. Foliage TypeDark green leafless stems with upright, blue-green needle-like foliage. Soil RequirementAcidic, moist or boggy soil. Unique CharactersticsHoffman Nursery: Although often grown as a wetland plant, Juncus inflexus is quite drought tolerant once established. Blue Arrows Rush thrives in heat and full sun. It fits perfectly beside a pool, pond, or stream where its reflection captures the mood of an aquatic paradise. 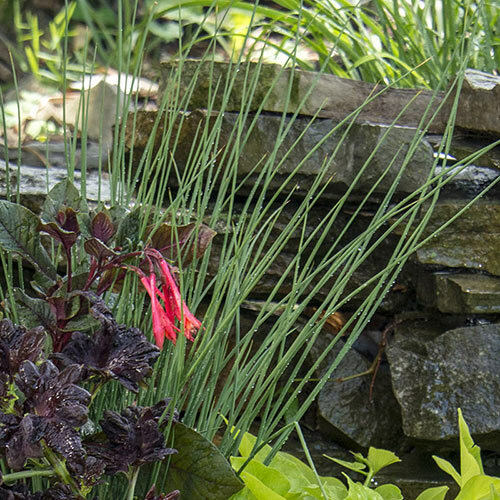 Blue Arrows' soft color and beautiful, upright form make it irresistible in container combos and annual beds. 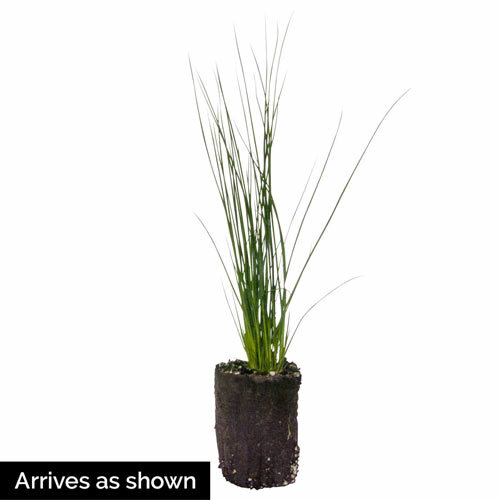 In the wild, Juncus inflexus is found in wet soils along streams, ditches, and on wet, sandy and peaty hillsides.